Are you planning a trip to Hokkaido soon? Autumn is a great season to catch a great view of not only maple leaves, but gingko trees too. 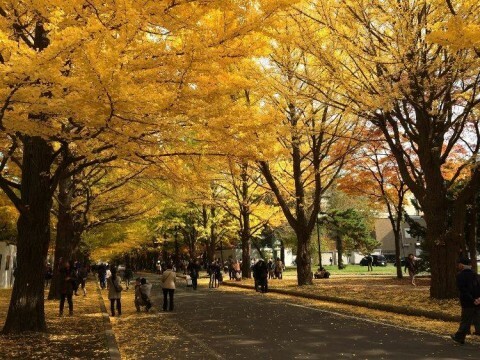 Now is the best time to view Ginkgo Avenue in Hokkaido University. You can walk under the golden tunnel created by the 70 gingko trees.